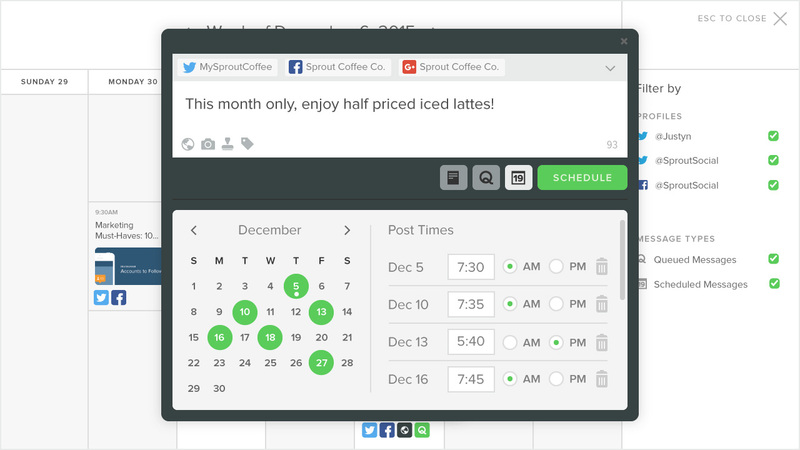 We’re proud to announce the release of our newest tool, Landscape by Sprout Social. 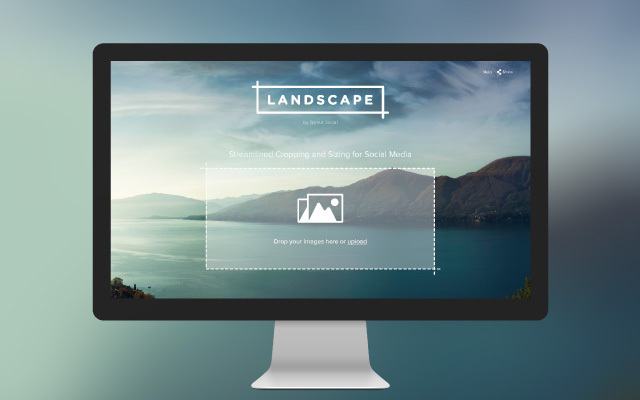 Landscape is a powerful image resizing platform designed to help social media marketers, content creators and business owners keep up with an increasingly visual social world. Landscape is a free platform that allows you to turn one image into many, each perfectly optimized for the different social networks and post types you need. Start by uploading your image to our page. Next, choose the networks for which you’d like to resize your image. Landscape currently uses Twitter, Facebook, Instagram, LinkedIn, Pinterest and YouTube image formats. If none of those are what you’re looking for you can click the Custom box to enter your own dimensions to size for. After you’ve selected the specific networks for which you’d like to resize your image, choose the post types, such as a Twitter Profile Image or an In-Stream Wide Photo. 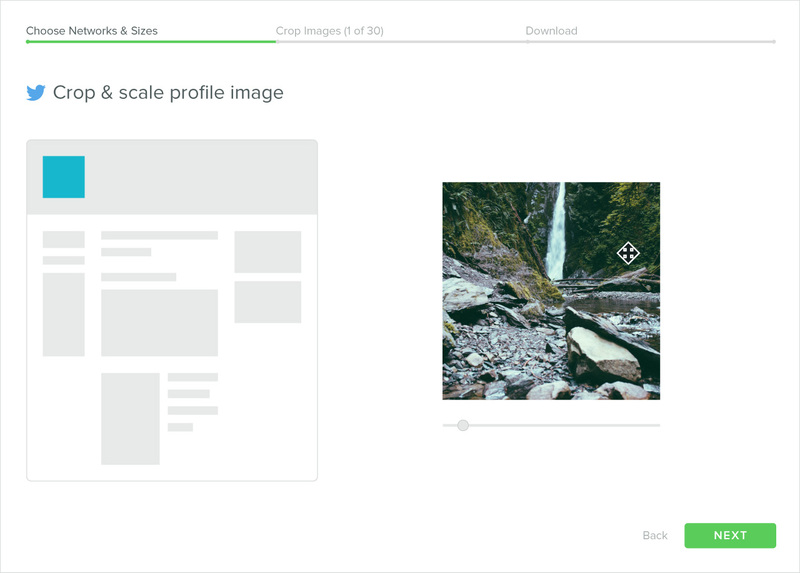 Now you can quickly go through each of your image type selections and guide the cropping to ensure you aren’t cutting out any valuable content. Once you’ve finished cropping, Landscape exports a ZIP file with your new images, named to indicate which network and placement each belongs to. You can then go on to share these images to your social networks, or you can use a social media publishing tool such as Sprout to schedule them to send later. 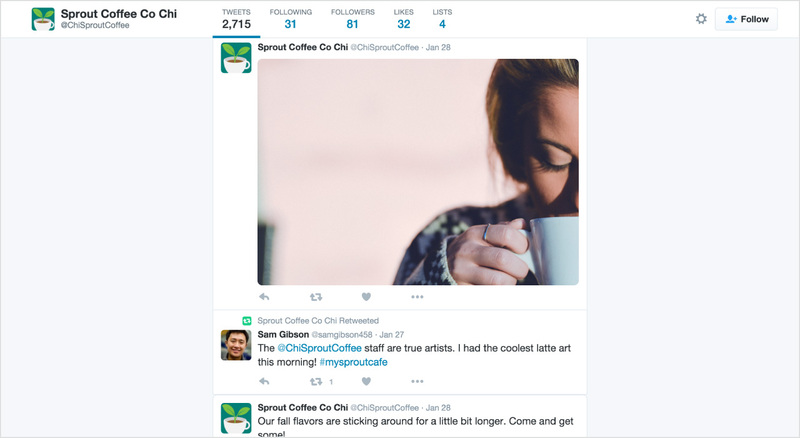 Since its publication in June 2014, our Always Up-to-Date Guide to Social Media Image Sizes has been Sprout’s most visited blog post. This data helped us recognize the marketplace need for an interactive social image resizing tool. The social networks are constantly changing the image sizes they use. With Landscape, you no longer have to go searching for the right specifications. Creating and maintaining a social media content calendar is one of the most important responsibilities of a social marketer. It is also one of their most time-consuming tasks. The image creation and optimization process can easily become the bottleneck of an otherwise efficient editorial calendar. Landscape keeps your workflow moving forward and lets your designers focus on creating compelling content rather than worrying about image size requirements. When publishing images that are not properly cropped, a social network may automatically trim out content that is crucial to your photo. 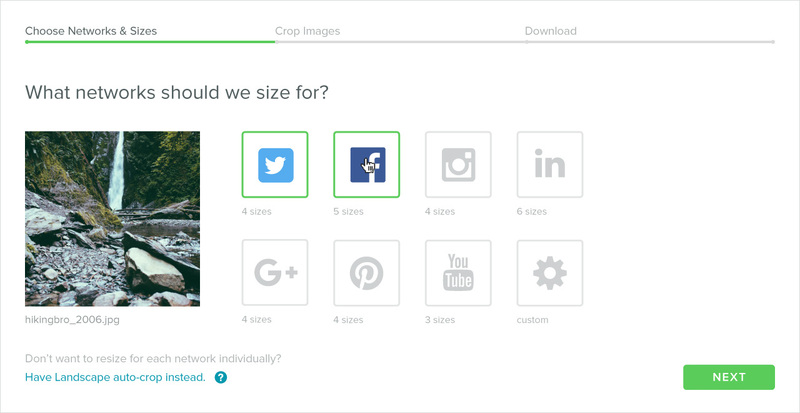 Landscape ensures your image is shared correctly across all social channels, enabling you to maintain control of what you share and avoid any missteps. Don’t leave your image optimization to network automation. Use Landscape to quickly and efficiently create a perfect image for all of your social media posts. Click the link below to try it now.